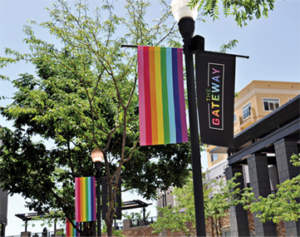 It’s easy to get to The Gateway, and even easier to make it your launch pad for hanging out downtown. 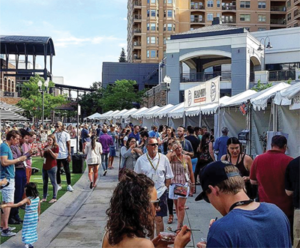 Located in the heart of Salt Lake City and right across the street from Vivint Smart Home Arena, The Gateway has the best access to public transit along with convenient spaces to park and walk. —making it the perfect spot to start your day or night. The Gateway part of the GREENbike network, Salt Lake City’s non-profit bike sharing initiative. GREENbike offers our visitors and downtown-dwellers a fun, easy, and social way to explore the city. Pick one up at one of our two stations at 100 South or near The Depot on 400 West. The Gateway is a part of the UTA Free Fare Zone and has direct access to TRAX going any direction. Take TRAX Route 701 or 704 to the TRAX ARENA or PLANETARIUM stops. The Gateway is just two short blocks from the NORTH TEMPLE STATION stop on FrontRunner. The Gateway is just two short blocks from the NORTH TEMPLE STATION stop on FrontRunner. Proceed south for two blocks to 50 North and Rio Grande Street. The North Garage can be accessed from both 400 West and 100 South. 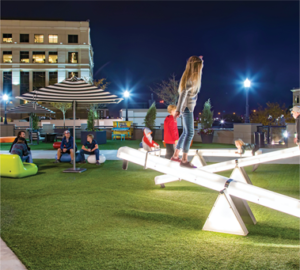 Parking in the North Garage provides easy access to the Olympic Fountain, The Plaza, Discovery Gateway Children’s Museum, The Depot, and other retailers on the north end of the property. The South Garage can be accessed from both 400 West and 100 South. Parking in the South Garage provides easy access to the Megaplex Theatres, Clark Planetarium, Wiseguys Comedy Club, and other retailers on the south end of the property. Parking Rates: Your first hour of parking is free, and most stores offer one-hour validation with purchase. Parking is free on Sunday! Valet Parking: Valet parking is available every evening after 5 p.m., except on Sunday. Valet services are located on 400 West between Fleming’s Steakhouse and the Union Pacific Depot.